Sony has just unveiled their latest flagship devices, the Xperia XZ2 and XZ2 Compact at MWC 2018 in Barcelona this morning but we managed to get some hands-on times with both devices at a pre-briefing event last week in Dublin. With improved camera technology, audio capabilities and larger displays, there’s a lot to cover here. The larger and slightly more impressive of the two devices officially announced today, the Xperia XZ2 brings with it some long-overdue design changes including the new 18:9 display and more ergonomic design. Similar in design to the likes of the HTC U11 line of phones, the new XZ2 has a new ‘Ambient Flow’ design aesthetic with a 3D glass back. Under the hood, you can find Qualcomm’s newest processor, the Snapdragon 845 along with 4GB RAM and 64GB storage. In the time we had with the device, app switching, photo taking and a small bit of gaming seemed effortless to this new powerhouse of a processor. In the photography department, Sony has also made some improvements to the already impressive camera found in the XZ1 and XZ1 Compact. The 960fps at 720p feature introduced on these handsets has been upgraded to Full HD quality which is really going to make a difference to the video quality of your super slow motion captures. Testing the feature out in a moderately lit room returned some seriously impressive results, even on the smaller 5″ screen of the XZ2 Compact. Which, I must note, has all the same camera specs as the XZ2. The XZ2 and XZ2 Compact are also the first phones in the world to be able to capture 4K HDR footage and the device also has some impressive HDR upscaling software to help upscale any SDR footage you are watching on the device or happen to capture with the camera. 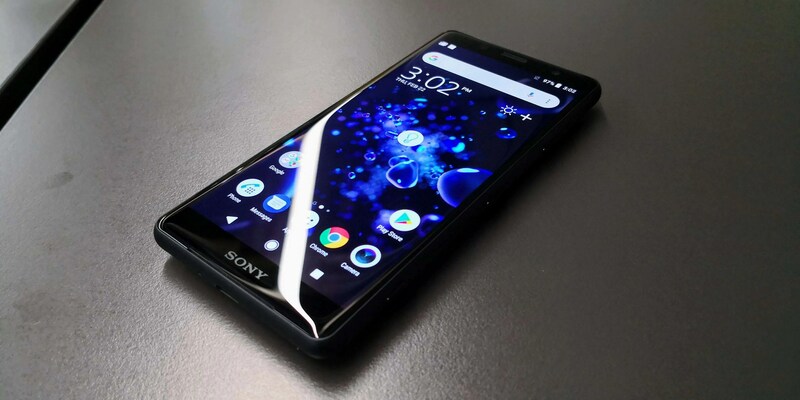 Round the front, and as I mentioned earlier, Sony has introduced a large 5.7″ HD+ HDR LCD 18:9 aspect ratio screen in a footprint similar to last year’s 5.2″ XZ1 handset. Even with this improved screen aspect ratio, Sony has still managed to keep its stereo speaker layout which are now said to be 20% louder than last year’s devices and also include Sony’s own S-Force Front Surround sound technology which we were first introduced to on last year’s models. After being shown a quick comparison between last year’s XZ1 and the new XZ2, we could definitely notice the improved loudness and Surround sound capabilities of the new handset. The device also comes with a new ‘Dynamic Vibration System’ that uses an extremely low frequency actuator to vibrate the device in tune with your music, videos and games. We only had a brief change to test this feature out but we imagine it really adding a lot to mobile gaming on the device. The device is also IP65/68 water and dust resistant and supports wireless charging. The ‘3D Creator’ software originally launched on the XZ1 and XZ1 Compact has now been upgraded to allow for ‘selfie capture’. Not only this, but you will also have the option to send your scans off to a remote server that will greatly improve the quality of your overall scan if you’re looking to have it printed. 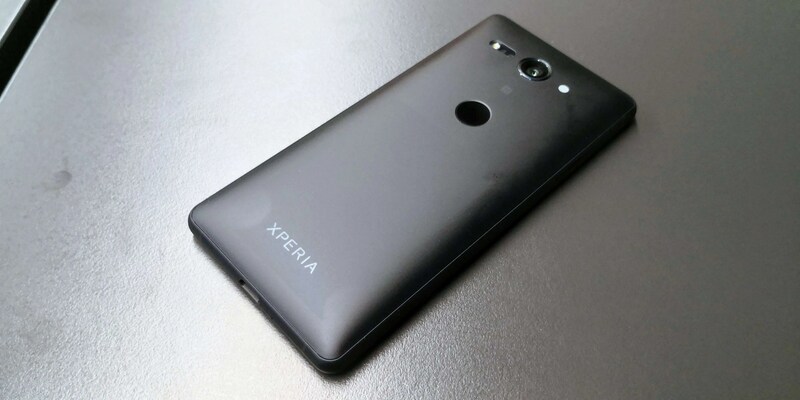 The Sony Xperia XZ2 will be available on all Irish networks in either ‘Liquid Black’ or ‘Liquid White’ from April 6th onwards and will also be available on sonymobile.com/ie. The smaller sibling to the XZ2, the XZ2 Compact is, as the name describes, an extremely compact yet powerful device. Packing almost all of the internal specs of its bigger brother, Sony has yet again proven they are the leaders when it comes to ‘no-comprises’ compact versions of their flagship devices. The XZ2 Compact does not include the ‘Touch’ Dynamic Vibration System or wireless charging. 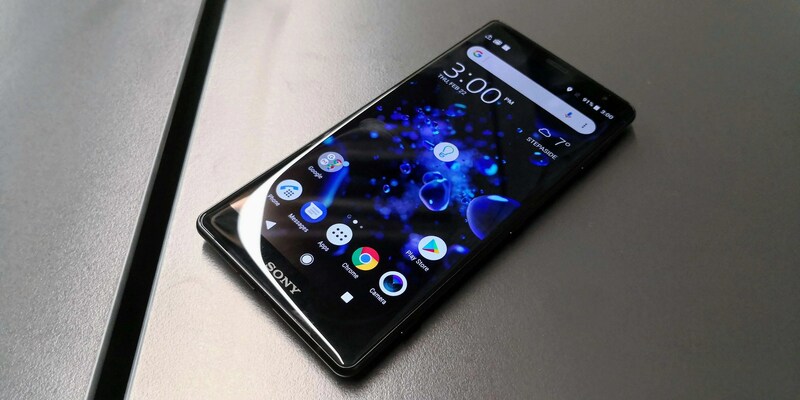 The Sony Xperia XZ2 Compact will be available from April 6th onwards on sonymobile.com/ie and will be available on all Irish networks at a later date. Pricing is yet to be confirmed. Overall, we were very impressed by what Sony has achieved in their newest handsets and we can’t wait to put both devices through their paces in our full reviews which will be coming in the nest few weeks. 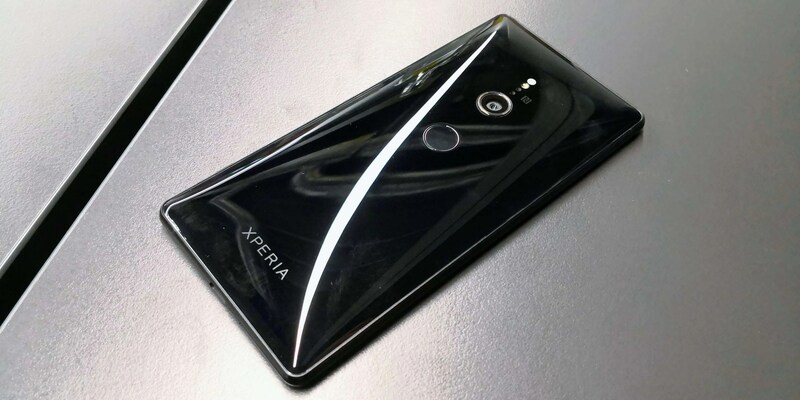 MWC, 26th February 2018 – Marking a unique evolution in Xperia’s engineering and design, Sony Mobile Ireland today announced two new smartphones to headline its flagship range, Xperia XZ2 and Xperia XZ2 Compact. Built around the concept of bringing you the most immersive entertainment experiences yet – both models provide huge advancements in camera, display and audio technology as well as a beautiful new design to fit perfectly in your hand. Pushing your viewing experience to the extreme, our flagship Xperia XZ2 has an extended 5.7” HDR Full HD+ 18:9[iii] display so you can immerse yourself in your favourite movies and content in exceptional colour and contrast. Plus not only can you watch existing HDR content, using Sony’s BRAVIA® TV technology, X-reality™ for mobile, it will up-convert content to near High Dynamic Range (HDR) so even when you’re streaming videos you get better quality playback that feels like a movie experience. High quality audio is also provided using Sony’s audio expertise with the truly authentic sound of Hi-Resolution Audio[iv] together with DSEE HX technology for upscaling. Quality is guaranteed when connecting to wireless speakers or headphones thanks to the enhanced Bluetooth technology LDAC which offers near High-Resolution Audio[v]. Motion Eye™ camera is pushed to the extreme and gets a ground-breaking upgrade with the world’s 1st 4K HDR Movie recording in a smartphoneI using HLG (Hybrid Log Gamma) format. You can now capture reality with incredible contrast, detail and true to life colour and share or upload to a compatible HDR TV or YouTube to view your content back in lifelike realism. Super slow motion video recording is also upgraded with 960fps now possible in Full HD to make your wow moments even more fascinating. Motion Eye™ camera brings you all the great still photography features you expect from Xperia with its intelligent control features such as Predictive Capture with motion and smile detection, Autofocus burst and Predictive Autofocus. Thanks to these superior features, plus our Quick Launch and Capture, you’ll never miss the moment. All of these great experiences are encased in a new design expression with a fluid 3D glass surface that creates a seamless form that’s effortlessly comfortable in your hand. The elegant design is contrasted by its tough exterior, built with Corning® Gorilla® Glass 5 and metal frame to add extra durability and a beautiful premium feel. Its four different finishes offer a beautiful reflection and shine from every angle thanks to the beautiful glass and flow of light, available in Liquid Silver, Liquid Black, Deep Green and Ash Pink. Certified IP65/IP68[vi], XZ2 is designed to withstand splashes and spills so you don’t have to think twice about answering your phone in the rain. Powered by the cutting-edge Qualcomm® Snapdragon™ 845 Mobile Platform with X20 LTE, XZ2 will provide immersive user experiences at lightning-fast connection speeds (up to 1.2Gbps) with the second generation Gigabit LTE solution so users can enjoy a modern lifestyle whilst working or having fun. For example you can get an episode of a TV series in just 20 seconds[vii] with super-fast downloading. With all the ability for speed and performance you’ll want assurance that your battery won’t let you down, and XZ2 definitely delivers. With a large 3180mAh battery and the most power efficient control ever thanks to its 845 Mobile Platform, XZ2 offers worry free all day usage. Xperia’s useful battery features are also included such as Smart Stamina, STAMINA mode, plus Battery Care[viii] and Qnovo Adaptive Charging technology which help the battery stay healthy to give you a longer battery lifespan. For effortless charging you can also use the wireless charging dock (WCH20[ix]), and other compatible Qi chargers, by simply placing your XZ2 on the dock to power up without the need to plug in.